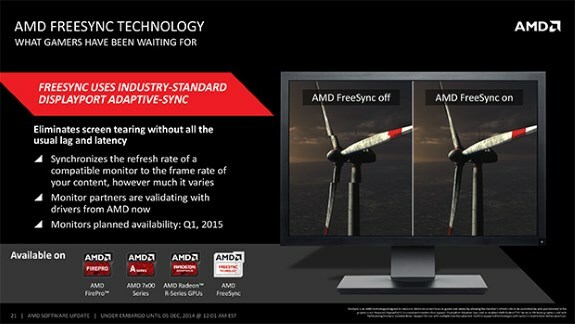 In its latest press release, AMD revealed that the first FreeSync displays should hit the market in January or February of 2015. The company claims the screens have entered mass production and validation stage so it looks like there will be some screens on display at CES 2015. AMD says that, from the point of view of display makers, there's "not much you need to do" to support FreeSync other than comply with the DisplayPort 1.2a standard's Adaptive-Sync specification. Nonetheless, the chipmaker mentioned some "secret sauce" that we'll learn more about in January or February. Hmm.